Mindfulness & Mettatations are intertwined practices. Much like the double helix of a DNA strand these two are parallel and connected practices. Mindfulness has become part of the modern lexicon and the research on the benefits continue to grow daily. 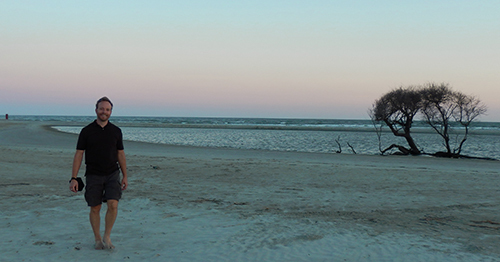 Mettatations encompass mindfulness, the first part of the 'active' practice is to take time to become mindful of your inner thoughts, feelings, and physcial body. Mettatations then take that mindfulness and examine and cultivate places where you want more positive thoughts and feelings, and where you need physical, emotional, and spiritual healing, recovery, and/or generation. Just like mindfulness, Mettatating can be practiced at almost every time and place. Once you are aware of your current status, you can then cultivate and generate positivity within yourself so that they can lead to more positive actions - and that is Mettatations. Mindfulness is also intimately related to focus and emotional intelligence. These are also important ingredients and keys to success and happiness. 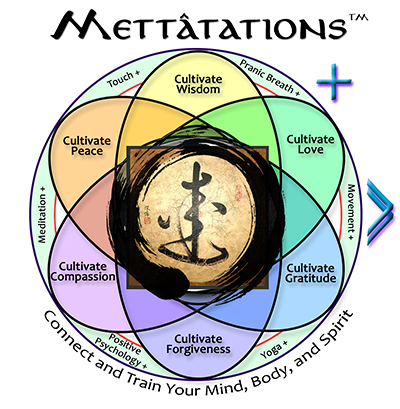 Mettatations were specifically designed to help you cultivate virtues like mindfulness.